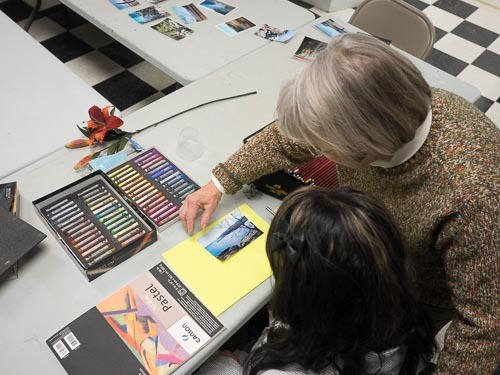 There’s still time to register for the Berkeley Arts Council June art classes. This class is for all students who have either taken classes in beginning watercolor or have had experience painting on their own and want to further their skills. Class will learn to paint transparent objects like glass, create luminosity with transparent colors, build still life compositions using traditional design rules and finally discover the possibilities which can come from pouring colors. Supplies: 12″ X 16″ cold press or hot press 140 lb watercolor paper pad or block and selection of artist level watercolor paints and good brushes, which can include synthetic makes. Ruler, pencil, eraser, masking fluid, palette and any other watercolor product you typically like to use. Are you frustrated by complex drawing issues? Would you like to expand your skills and take your artwork to a higher level? Join us in this worthy endeavor! Increase your drawing prowess to enrich your work, to achieve more satisfying images and results. For intermediate and advanced artists. Supplies: Basic Drawing Materials: basic drawing pencil set, kneaded eraser, shading tortillions, and vine charcoal (if desired). Papers provided by the instructor ($10 fee at first class). Enrich your artwork beyond mere surface-level. Create mystery, evoke an emotional response through archetypal imagery or use personal symbolism to build unique mixed-media, multilayer, multidimensional images. The more the viewer looks, the more they will discover! For intermediate and advanced artists. Supplies: Provided by the instructor. Will include acrylics, pastels and drawing media.